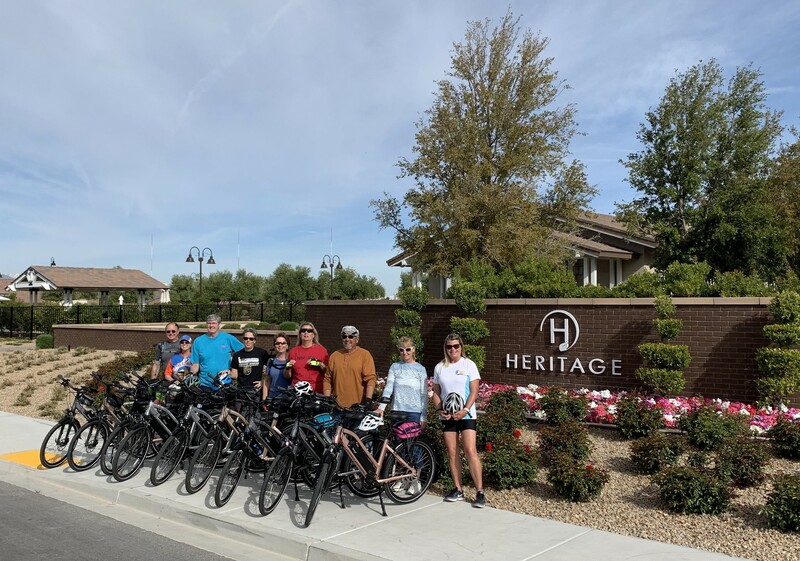 Life begins at 55, well at least in the Heritage community located in Henderson, Nevada. Heritage is a 55+ community for active adults, and active is an understatement. A group of residents are reliving their childhood but with an assist, pedal assist that is. Heritage sports a group of over 20 E-bikers who ride almost daily. These riders have each logged 1000 miles (1610Km) per year. Although there are 3 or 4 popular brands of E-bikes, Amego is making its mark. Heritage currently has 10 Amego bike owners and more are purchasing bikes every month. "The battery life and power on the hills has the other bike owners looking on with a jealousy. Amego uses a fraction of battery compared to the other brands and make the uphill ride a breeze!" The E-bikers in Heritage have truly become close friends and have completed some great rides together. Last year This group was part of the inaugural ride on the new I-11 highway which opened a day early to bicyclists before automobiles. The Heritage E-bikers also rode to the Las Vegas sign with Golden Knights jerseys to support the local hockey team for the NHL finals. It isn’t all riding for fun and games either. Last year Heritage E-bikers rode in the local MS bike ride to help raise money for Multiple Sclerosis research. As they continue into 2019, more rides are planned and yes, once again Heritage E-bikers will be riding on the MS ride. None of this would have been possible without E-Bikes, and not as fun without the Amego bikes.